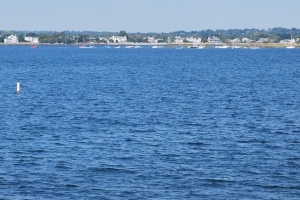 Daily Boater Boating News: Goin' Coastal This Memorial Day Weekend? If you're a country music fan and you follow our site, you've probably been hoping we'd include Kenny Chesney more often in our selections for the Sea Song of the Week. If you're not a country music fan, consider yourself informed that Kenny Chesney has that whole Jimmy-Buffett-lifestyle thing going on. He's even got a boat and spends a lot of time in the Caribbean. If you go to one of his concerts you can upgrade to something they call the "Sandbar". Chesney definitely seems to have moved on from songs about tractors in his early years to songs about beaches and boats.